Paralysis victims around the world have been cheered by the news that three long-wheelchair-bound people were able to walk following two separate successful research projects. The research, carried out at the University of Kentucky at Louisville and the Mayo Clinic in Minnesota, used electrical stimulation of the spinal cord combined with intense physical training. The results varied depending on the patient. 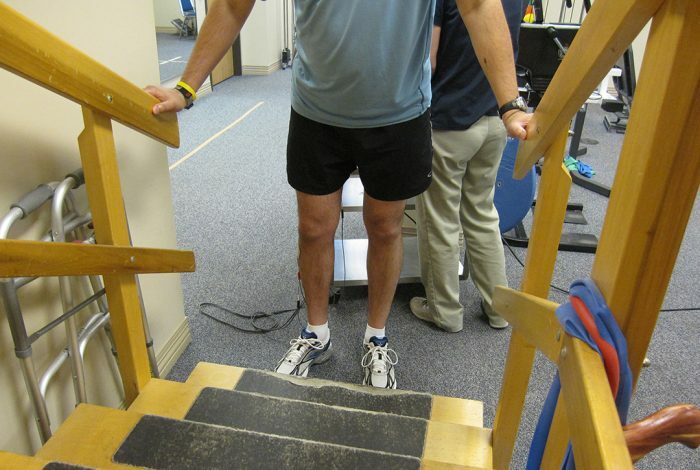 A few did not respond: but after 15, 45, and 85 weeks of therapy respectively, three patients got up and walked with some support from a walking aid. The technique, called epidural electrical stimulation, involves implanting a spinal cord stimulation device. It was originally developed to relieve pain, but the fascinating side effect of re-establishing communication between the brain and the area below the spinal injury was recognized, and pursued. Spinal cord injuries damage connections between the brain and neurons in the spinal cord, which results in loss of motor and sensory function in areas of the body below the injury. Although many patients still have some connections between the brain and the spinal motor neurons below the injury, these connections are just not strong enough to permit movement. “The spinal cord is very receptive to sensory cues,” said Claudia Angeli, Ph.D, at the spinal cord injury research center in Louisville. If the spinal cord receives enough cues, then the cord itself starts to produce cues. The difficult part is determining how much stimulation is enough. “It’s getting to the correct little bit to initiate the chain of events,” she said. The results have been seen only in patients who retained nerve activity below the site of the spinal injury. The research is in its infancy, but must raise the hopes of many. This week’s video shows the two success stories out of Louisville — Jeff Marquis and Kelly Thomas — walking, years after being paralyzed. Related front page panorama photo credit: Adapted by WhoWhatWhy from walker (Sebastian Lomas / Flickr – CC BY-NC 2.0).